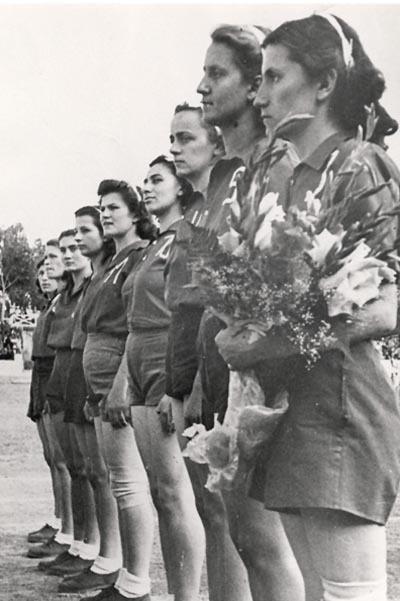 Senior Women’s National Team of Yugoslavia played their premier game on 21 September 1946 at the Balkan Championship held in Bucharest. The debut was more than successful with a win over a host team 23:6. The first victory of our women’s national team was gained by Mladenovic, Ful, Aksentijevic, Petrovic, Radovanovic and Dakic, the players of Crvena Zvezda, Madera of Zadar and the players of Kvarner, Soldo and Punter. The selector was a legendary Bora Jovanovic, professor of the Faculty for Physical Culture, an outstanding basketball official and referee and as of 1948, the first President of the Basketball Federation of Serbia. The home scene was dominated by the basketball players of Crvena Zvezda with an unreachable record of 15 consecutive titles won in the period 1946-1960. 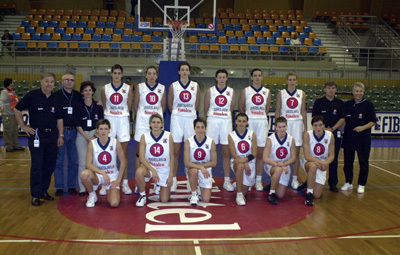 The red-white girls made the majority of the Yugoslav national team. 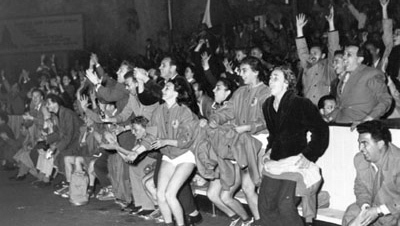 It was at the 1954 European Championship that the “blue” ladies appeared for the first time at the old continent championship held in Belgrade. They ended at the 5th place and the two wins were to be remembered forever. One against Germany (69:14) and another against France (55:50). At the famous Tasmajdan stadium, the blue ladies Cica Kalusevic, Branka Prelevic, Aleksandra Gec, Branka Ciprus, Ljubica Otasevic and other were led by head coach Braca Alagic. 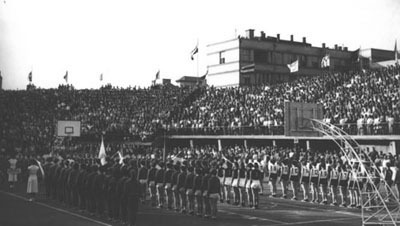 For almost four following decades, Yugoslavia was a regular participant of the European Championships. Aside from the superior Soviet Union, for whose players the gold was reserved, our national team was a serious candidate for the remaining two positions at the winning pedestal. The first medal was won in 1968 in Messina, Italy. The team was again coached by Strahinja Alagic, whereas the best player and scorer on the court was Marija Veger. She was assisted by Olga Djokovic, Jelica Kalenic, Milica Radovanovic, Stanka Stosic and Spomenka Milojevic who greatly contributed to the historical achievement. It was only two years later at the European Championship in Rotterdam that Yugoslavia won a medal again. This time led by Ladislav Demsar, the girls won a bronze. It was almost the same squad with the exception of a debut of Snezana Zoric.. The next medal would be waited for until the 1978 European Championship in Poznan, where Yugoslavia again would become the European Vice-Champion. The team was coached by Borislav Corkovic and the European Championship in Poland was the last one for legendary Marija Veger. Her leading role was taken over by Sofija Pekic, Vukica Mitic and a range of younger talented basketball players. The arrival of Milan Ciga Vasojevic at the helm of the women’s national team in 1980 was almost a revolutionary move. The greatest achievements of our women’s national team were to follow. 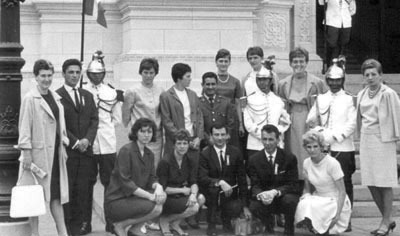 At his debut at the European Championship in Banjaluka, the girls won bronze and they would repeat the same success eight months later at the Moscow Olympic Games. The change of generations took place under Vasojevic. He offered an opportunity to the younger players he fully believed in such as Andjelija Arbutina, Danira Nakic, Razija Mujanovic, Jelica Komnenic, Oliver Krivokapic, Bojana Milosevic, Sladjana Golic… At the 1987 University Games held in Zagreb, Yugoslavia won the gold medal, the only gold ever in women’s senior international competitions. 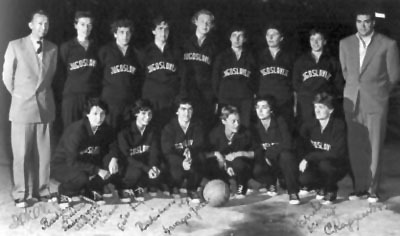 The same year, at the European Championship in Cadiz, France, Yugoslavia won silver in a tough final game against the Soviet Union which ended with a 73:83 win of the Soviet girls. The 1988 Olympic Games in Seoul were the crown of one splendid generation. A memorable moment of the semi-final game against Australia is a score of Andjelija Arbutina one second before the game end (57:56) for a place in the Olympic finals. The final game for the Olympic gold against a powerful national team USA ended with a 70:77 win of the American girls, but the Yugoslavs showed all their talent and strongly resisted the USA team until the very end of the game. A trophy winning streak continued after the departure of the victorious coaching expert Milan Ciga Vasojevic. His successor Mihajlo Vukovic partially changed the roster of the World Vice-Champions team from 1990. Only a year later, at the European Championship in Israel, the team led by coach Miodrag Veskovic won the silver medal. The Soviet Union had been defeated in the preliminary phase (75:74) but they took their revenge in the finals to win it 97:84 and thus disperse our team’s dreams about the gold medal, which according to the performance they exhibited, seemed to have been never closer. The only result worth mentioning in the 21st century is the 5th place of our national team at the 2001 European Championship in France. A decline of the women’s basketabll at the continental championships was to follow (2003 – 2009) with our team’s placements between 9 and 13. Additionally, due to their failure in the qualifying games, our women’s team missed the European Championship held in Poland in 2011. The announcement of better days, a brighter future and the return of our women’s national team to the paths of success occurred with the election of Dragan Djilas as President of the Basketball Federation of Serbia. The ladies under the baskets have again got the attention they deserve with their enthusiasm and energy. The regional centers have been revived in a very short time, the interest of young girls in basketball has rapidly increased what resulted in an ever growing number of registered young players practicing hard and hoping for becoming members of the national team in the future. A renowned national team player Ana Jokovic at the position of Vice President of the Basketball Federation and the newly elected national team head coach Marina Maljkovic make a team that guarantees Serbia will again play an important role in the European basketball and be competitive in the battle for medals at major international competitions. 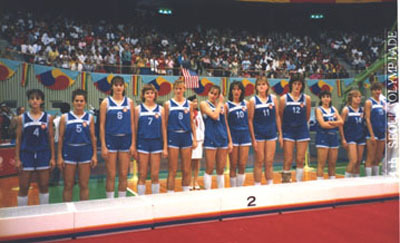 Malaysia 1990: SILVER MEDAL – Andjelija Arbutina, Bojana Milosevic, Danijela Ilic, Danira Nakic, Eleonora Vild, Kornelija Kvesic, Mara Lakic, Nina Bjedov, Razija Mujanovic, Sladjana Golic, Tima Dzebo, Vesna Bajkusa. HEAD COACH: Mihajlo Vukovic. 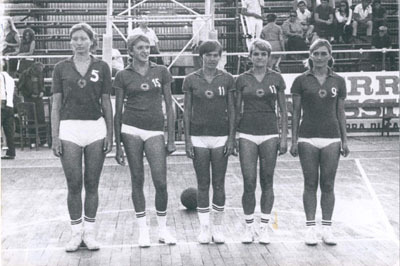 Poznan 1978: SILVER MEDAL – Maja Kutleša, Marija Demšar Veger, Marjana Bušljeta, Mira Bjedov, Vukica Mitić, Danica Guberinić, Sofija Pekić, Branka Jovanović, Zorica Đurković, Drinka Milović, Biljana Majstorović, Ljiljana Stanojević: HEAD COACH: Borislav Ćorković. 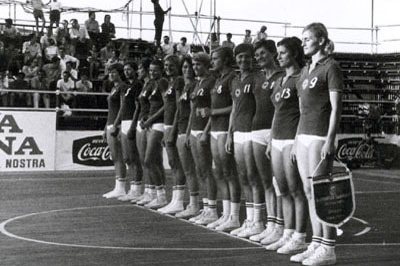 Banjaluka 1980: BRONZE MEDAL – Sanja Ožegović, Mersada Bećirspahić, Jelica Komnenović, Natalija Bacanović, Vukica Mitić, Jasna Pepunik, Sofija Pekić, Marija Tonković, Zorica Đurković, Vesna Despotović, Biljana Majstorović, Polona Dornik. HEAD COCAH: Milan Vasojević. 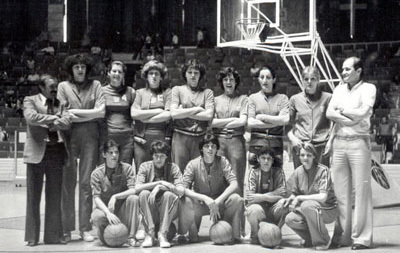 Kobe 1985: BRONZE MEDAL – Slavica Šuka, Snežana Božinović, Biljana Đogo, Olivera Krivokapić, Naida Hot, Kornelija Kvesić, Jasmina Kalić, Razija Mujanović, Biljana Majstorović, Slavica Pecikoza, Timra Imširović, Bojana Milošević. HEAD COACH: Aleksandar Stanimirović.